Rest on the Flight into Egypt, by Caravaggio. I love Joseph’s stunned expression, and the donkey’s alertness. The Madonna and Child are also something special: this is not the usual Queen of Heaven, but a tired mother cuddling her baby, the more affecting because so real and normal. 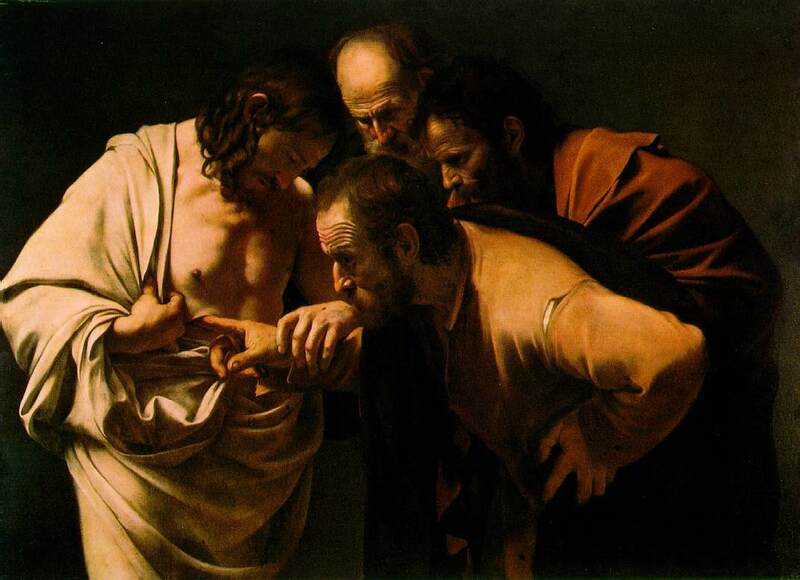 As far as I can tell, this is the only Caravaggio with a full, Renaissance-style background with botanical details. I don’t know if the oak tree they’re resting under and the nearby reeds are a reference to Aesop’s story of the oak and the reed, or if they’re strictly Christian: the reeds for the Holy Family’s willingness to bow to humble necessity, the oak for their endurance under trial. 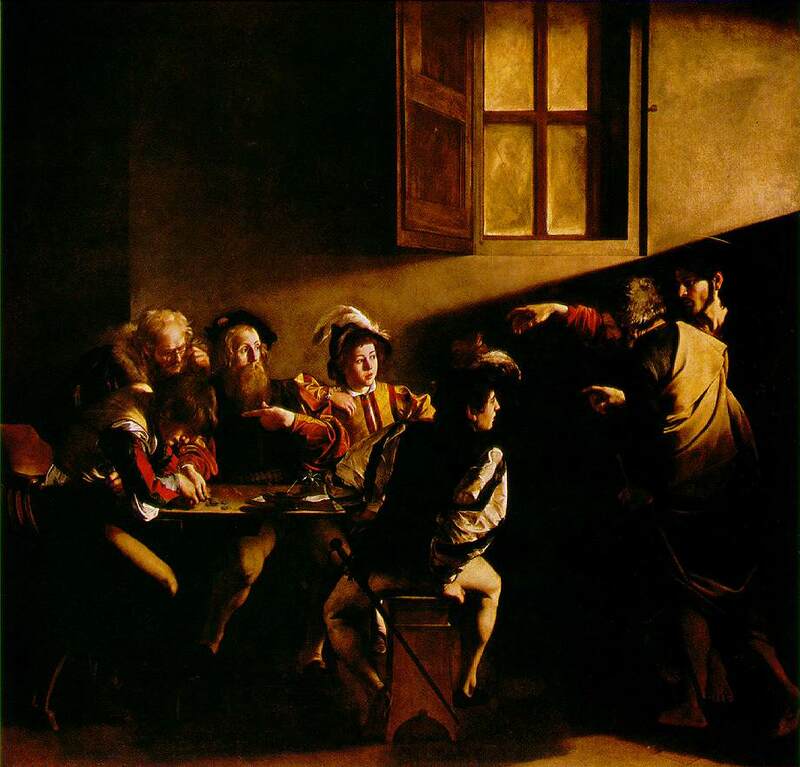 Other Caravaggios all seem to take place in a shallow or timeless space with few background details or none at all: they are in the Dreamtime. Rest on the Flight is still set in the Renaissance and even Medieval real world: full of naturalistic detail, but each detail is significant or symbolic, with a meaning that may be decoded. This probably reflects the wishes or worldview of the patron; Caravaggio’s other works of the period are set on a mythic or psychological stage detached from the outside world. This entry was posted in Puzzles and tagged baroque, holy family, italy, painting, religious, renaissance. Bookmark the permalink. Post a comment or leave a trackback: Trackback URL. I love these old painting puzzles. They force you to really look at the picture’s details. I am entranced by Wee!Baby!Jesus’ wee feet.